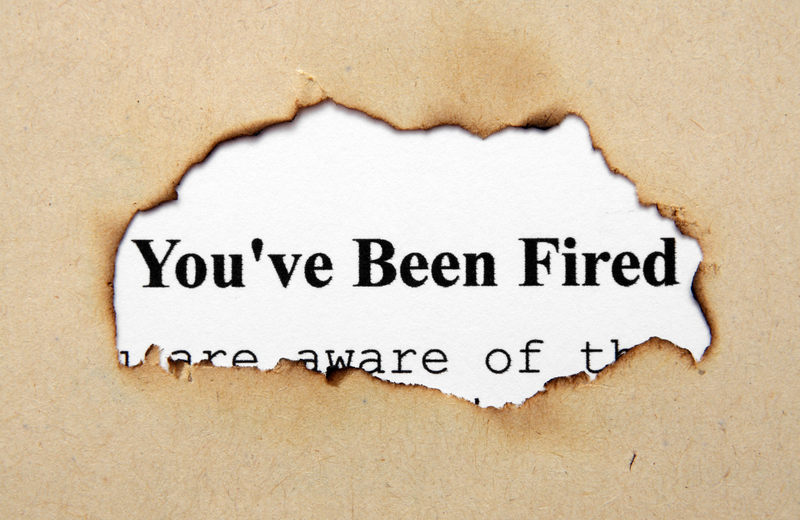 Is it permissible to rest such serious consequences on a single verbal outburst, especially since not only Barr but about 200 co-workers lost their jobs, just as they were sitting down to begin planning a new season? I think the answer in this case has to be Yes. Perhaps her spiteful spittle might have been excused had it been part of the show and she’d been upbraided for it as some sort of lesson on camera. But this was an unscripted real life drama. If there were no clear consequences for such behavior, we’d have to conclude either that there is no meaning to being offensive or that we are all helpless in the face of it. Celebrities, whether they like it or not, are role models, and companies that are in the business of catering to public opinion can scarcely afford to ignore odious outpourings from the people they employ. Firing the star in these circumstances is not new. Remember Don Imus, who famously lost his show when he racially and misogynistically disparaged the Rutgers University women’s basketball team in 2007? Or Charlie Sheen? Or the plummeting fortunes of Mel Gibson? Though it’s a discussion worth having on another occasion—whether the art ought to be separated from the artist—it’s clear that the two can’t always be held apart, and that the road back is often steeply uphill. There’s at least one state of affairs, then, in which giving serious offense merits serious punishment—though not, note, by the hand of government. Are there others? A straightforward case is that of Michael Chikindas, a tenured professor of food science at Rutgers University. Until last December, he was also director of the University’s Center for Digestive Health at the Institute for Food, Nutrition, and Health. Two months earlier, Chikindas was discovered to have posted on his Facebook page a number of virulently anti-Semitic rants and cartoons. Though not reported in the major papers, much of his oeuvre was posted online, and you can see some of it here and here. When called on his posts, Chikindas suggested that he might have been hacked, couldn’t recall whether he had posted all of what appeared, denied that he is an anti-Semite, and lamely said he thought his posts were permissible because Facebook did not remove them, despite having the authority to do so if they really crossed a line. In December Rutgers moved against Chikindas—sort of. He was removed from his administrative posts, forbidden from teaching any required courses, and directed to undergo “a cultural sensitivity training program,” subject to monitoring should he return to the classroom. Robert Barchi, president of Rutgers, stated openly that “Professor Chikindas has been notified that the university is seeking further disciplinary action through procedures required by Appendix H of the collective bargaining agreement with our faculty union.” That was six months ago; I can find no further report on the outcome. Unlike Barr, Chikindas works for a public employer, subject to the First Amendment. You might suppose that he has constitutional immunity from disciplinary action for spraying his spittle. The speech in which he engaged, after all, was not part of his university duties, it dealt with public issues, no matter how offensive his manner or his thought, and he presumably posted on his own time and from elsewhere than the campus (though nothing I have found establishes the facts one way or the other). What, then, is the argument for sanctions? The answer, I think, is that his profoundly offensive harangues are strong, if not wholly persuasive, evidence of bias that would infect his dealings with students in the classroom. Rutgers has the highest percentage of Jews on campus of any public university in the United States. At some point, the employer has a responsibility—moral, professional, and legal—to ensure that students are treated equally and not subject to the whims of a teacher who is significantly biased against a particular group of them. I can’t say what Rutgers will ultimately determine through its Appendix H procedures, but I see no constitutional bar to the university’s undertaking such an inquiry. So here’s another state of affairs in which we seem to be justified in presuming that giving offense ought to be subject to limits, this time in the public realm. The First Amendment ought not to bar an employer, even a university, from proving likelihood of discriminatory behavior by assessing speech that establishes bias. Are you with me? Are you nodding in agreement that celebrities can—indeed ought to—be fired for indulging in virulently offensive speech, both to preserve the institution that employs them from a punitive backlash and to set a moral example? And isn’t it likewise obvious that the First Amendment can’t protect offensive bigots from the inference that their freely expressed beliefs are strong evidence of likely discrimination in the classroom? Well then, what do you say about Colin Kaepernick and his football colleagues who have “taken a knee” while the National Anthem has played at the opening of football games? An offense to our flag, says the President of the United States—and millions have echoed his belief that this outsized outrage, as they see it, ought to lead to dismissals from their squads, or desertion by the fans. If we follow the Roseanne Barr justification, a football franchise surely ought to have the same right to preserve its finances in the face of a fleeing audience and to “do the right thing” (especially since the “offense” here played out on the show, not off it). And it’s not hard to conjure a comparable scenario for teachers in the classroom: should a professor be disciplined for suggesting that the mass shooting in Las Vegas last October resulted from a system of white male supremacy? Is such a statement sufficient evidence of bias against white male students? The problem, it turns out, is not so much in deciding whether the punishment fits the offense but in deciding whether there’s an offense at all. To wit, the loudmouth in the elevator. In case you missed it, about a month ago Ruth Marcus in the Washington Post brought to public attention the episode of the guy who in early April walked into a public elevator at a professional conference without his PC filter in place. The fellow turned out to be Professor Richard Ned Lebow, who teaches political theory at King’s College, London. The elevator turned out to be in the San Francisco Hilton, where the International Studies Association was holding its annual meeting. Responding to a call for floors, Lebow said “ladies lingerie,” a joke that even he conceded was lame—though one I confess having made in my car when the GPS sounded that unmistakable 1950s elevator “bong” to signal a turn (but then, my wife tolerates my lame jokes). Simona Sharoni, professor of women’s and gender studies at Merrimack College (Massachusetts), who was in the elevator, took serious offense. She was so incensed that within four hours she lodged a formal complaint that landed in the lap of ISP’s Professional Rights and Responsibilities Committee, even though the association’s code of conduct expressly encourages those who consider themselves victims of a violation to resolve the matter directly and informally. Notified that the committee would investigate, Lebow wrote Sharoni (whom he did not know) directly. Stressing his long opposition to exploitation of women and denying any intention to cause her discomfort, he said that he nevertheless felt her complaint to be frivolous and urged that they both “direct our attention to real offenses, not those that are imagined or marginal.” Sharoni forwarded his note to the committee, and three weeks later it wrote Lebow that his elevator comment was “offensive and inappropriate” and hence a violation of the code. Moreover, the letter said, “the fact that you chose to reach out to Prof. Sharoni, and termed her complaint “frivolous,” was actually viewed . . . as a more serious violation than the elevator incident itself.” It ordered Lebow to apologize. He refused. The deadline the ISA laid down for him to do so has now passed. It’s unclear what more, if anything, will happen. At present you have a complainant who earnestly thinks such jokes are obviously verboten, a respondent who thinks that his joke was obviously acceptable, and standards that not only offer no help in adjudicating the matter, but that give no hint as to what the organization’s membership would want. I’ll also leave it to you to rewrite the code and the rules of procedure, with this challenge: let not the obvious bigot or the common scold win. In an age that obsesses over offensiveness, that’s the problem we all face. Addendum on July 26, 2018: In the penultimate scene of the 2012 movie Zero Dark Thirty, as the Seal team returns to base after killing Osama bin Laden, they are told to put confiscated files on one table, computer hard drives on another; as the leader points to the spots, one of the Seals yells out “ladies’ underwear.” The two-word declamation is obviously more than a spontaneous fancy; it is a trope that has been learned and is recalled by many. Can someone enlighten me: Where does it come from? Further addendum on October 30, 2018: Another similar line from a movie has just come to my attention. At the 58-minute mark of Three Days of the Condor, a 1975 thriller with Robert Redford on the run from a CIA assassin, Redford finds himself in an elevator with the man he correctly suspects as the killer, played by Max von Sydow. A group of high-spirited teenagers sweeps into the elevator and one of them presses every button. They exit at the next floor, the wise guy proclaiming after the car bongs its stop: “fifth floor, ladies’ underwear.” That was 43 years before Lebow uttered the “well-known gag line,” as he has termed it, in the Chicago elevator. I’m still waiting for someone to tell me what popularized it.